St. Louis as a European settlement began to take shape in 1764, when Pierre Laclede and 14-year-old Auguste Chouteau landed on the west bank of the Mississippi River a few miles south of its confluence with the Missouri River and began to set up a trading post. As the Lewis and Clark expedition spurred the young nation to westward expansion, St. Louis got rich equipping pioneers for the trek west, a role symbolized today by the dramatic 630-foot high Gateway Arch. In 1904, a hundred years after Lewis & Clark’s amazing voyage, St. Louis hosted the World’s Fair, an event still widely celebrated as the city’s apotheosis. After decades of decline, St. Louis has rebounded handsomely, building an unprecedented collection of family-friendly and affordable cultural institutions for locals and visitors alike. Weather-wise, spring and fall are St. Louis’ best seasons, but winter is not that cold, and summer…well, there are plenty of fun ways to get wet. St. Louis has been called the southernmost northern city and the northernmost southern city—both true—which puts it squarely in the Midwest. 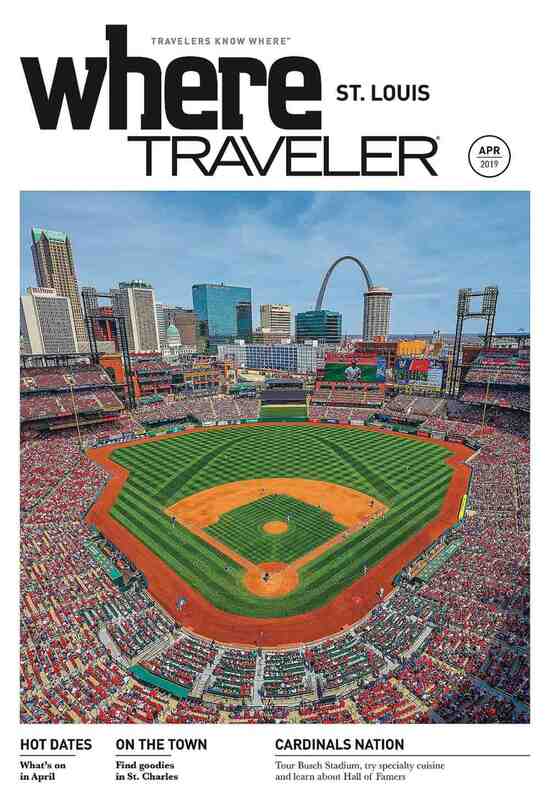 Surrounded by more conservative farming communities (suppliers of its outstanding dining scene), St. Louis (like its cross-state twin, Kansas City) wears its liberal mantel proudly while espousing solid Midwest values like family, faith and hard work. Still, it loves to let go in annual celebrations like the Soulard Mardi Gras, Fair Saint Louis 4th of July festival and one of the Midwest’s biggest Pridefests. The city’s musical heritage is enshrined both in the new National Blues Museum and the St. Louis Symphony, America’s second-oldest symphony orchestra. Access to cultural institutions remains a cherished civic ethos, leading to free admission for many of its best attractions. Favoriteteam: the Cardinals. Favorite beverage: beer. Favorite building material: brick. 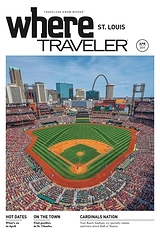 The must-do list naturally includes the Gateway Arch, still open for rides to the top despite a construction project to better connect it to the rest of downtown. You simply must see Forest Park (which is, St. Louisans love to point out, bigger than New York’s Central Park) and its collection of free world-class attractions—Saint Louis Art Museum, Saint Louis Zoo, Saint Louis Science Center and Missouri History Museum. 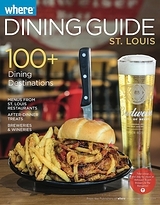 The deliriously indescribable City Museum deserves a place on the list, as does Missouri Botanical Garden, Cathedral Basilica of Saint Louis, Anheuser-Busch Brewery, The Magic House-St. Louis Children’s Museum, Cahokia Mounds State Historic Site in nearby Illinois and Laumeier Sculpture Park. Many of the city’s best attractions can be visited via MetroLink, St. Louis’ efficient light rail system. To really get a sense of what makes St. Louis tick, take a spin through its neighborhoods. The Loop, for example, has been named one of the ten best streets in America for the sheer vitality of its pedestrian-packed sidewalks, chockablock with fascinating retailers, galleries, nightclubs, concert venues and multi-cultural restaurants. Check out the Central West End for a sophisticated take on art, antiques, fashion, gifts and dining. Soulard boasts the oldest continuous farmers market west of the Mississippi, live music in cozy clubs at night and one of the biggest Mardi Gras celebrations north of Lake Pontchartrain. The Hill, the city’s storied Italian community, attracts diners to the best collection of Italian restaurants outside Rome. Nearby St. Charles (where Lewis and Clark rendezvoused before setting out for the Pacific) has preserved the largest historic district in Missouri, and the rolling foothills of the Ozark Mountains outside St. Louis produce some of the bestwines in the Midwest (the world, actually, but you have to sip it to believe it). Bicycling has achieved cult status here, resulting in a tangle of biketrails, including the Katy Trail, a rails-to-trails project that nearly spans the state. 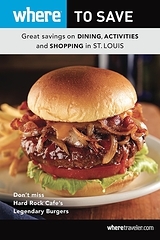 Check out our St. Louis publications!